A letter from the development team looking back at the year that’s been, and a glance into 2019. With 2018 closing out, we’re celebrating the first anniversary of Star Wars™ Battlefront™ II! This is a great opportunity for us to look back at the past year and share a little on what’s to come. First, a glance in the rear-view mirror. Star Wars Battlefront II was released with an ambitious vision – a game spanning different eras and modes both on- and offline, including the original story of Iden Versio, and with free content updates. However, the launch did not go as planned. With the understandable frustration around progression in the game, a decision to change the initial Crate system was made. A large part of the team was put on the task to fix the game’s economy and progression. This new system was implemented in March – one without random progression and where everything is unlockable through gameplay. We’re happy with how Star Wars Battlefront II has improved over the course of 2018 and we hope you are, too. In our progress, we learned that in order to get content out the door to players at a steadier rate, we had to break out our large seasonal drops into smaller, more frequent updates. Click here to visit our new roadmap section, looking back at some of the key updates rolled out before, during, and after the progression update, plus taking a peek into the future. Over this time, we've been encouraged by the patience of our community, how you've helped us to improve the game, and stuck with us. The excitement we’ve seen around this fall’s new Clone Wars content* with General Grievous, Obi-Wan Kenobi, Geonosis, the AT-TE – the largest fully player-controllable vehicle in Star Wars Battlefront II yet – and more, has been especially inspiring for the team, and left us with a feeling that we’re rounding up the year in a good place. And we’re truly excited about our plans for 2019. Let’s take a peek at what’s in store for all of you, in the months ahead. 2019 will kick off by introducing Count Dooku**, Anakin Skywalker, more clone trooper Appearances***, and a new mode featuring command posts and capital ship takedowns. Continuing beyond, we’re working to bring even more content and experiences to Star Wars Battlefront II. Again, visit our new roadmap section of the website to get an overview of future content. As a wise woman from Tatooine once said, “You can’t stop the change, any more than you can stop the suns from setting.” That rings especially true to game development. While we’ve improved the game and changed the way we operate, we are constantly looking for new ways to enhance the game. We have a passionate team that’s thrilled about continuing to improve Star Wars Battlefront II, and we’re looking forward to share more on this in the months coming. 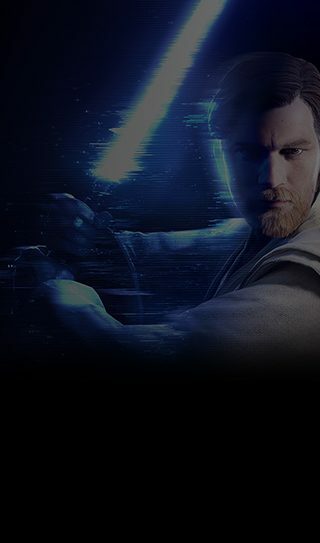 Sign up today to receive the latest Star Wars Battlefront II news, updates, behind-the-scenes content, exclusive offers, and more (including other EA news, products, events, and promotions) by email, and be sure to follow EA Star Wars on Twitter, Facebook, and Instagram, or join the discussion on the official forums. 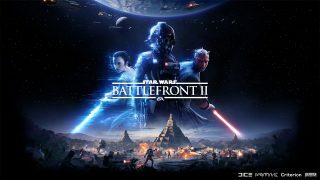 *All updates require Star WarsTM BattlefrontTM II on applicable platform (sold separately), all game updates, internet connection, EA account, and, for console players, Xbox Live Gold or PlayStation Plus membership (each sold separately). **New heroes are available for Credits earned in-game.